Looks like a bunch of Googlers are getting ready and preparing for Halloween. 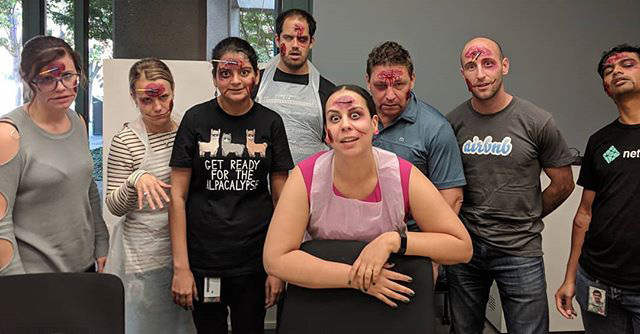 This photo from Instagram shows a workshop at the Google office aimed at teaching Googlers how to do makeup that looks a bit scary and creepy. Yes, zombie faces, extra eyes, blood, etc. Roshini S wrote on Instagram "YAAAAASS to the amazing Google team who signed up for my workshop that turns you into zombies! Gearing up for Halloween!"